Windows 10 comes with many modern metro style apps installed by default. There are plenty of users who are never going to use modern apps such as Xbox, Weather, Sports, Store, OneNote, Skype, Calendar and Mail, Alarms and Clock, etc. 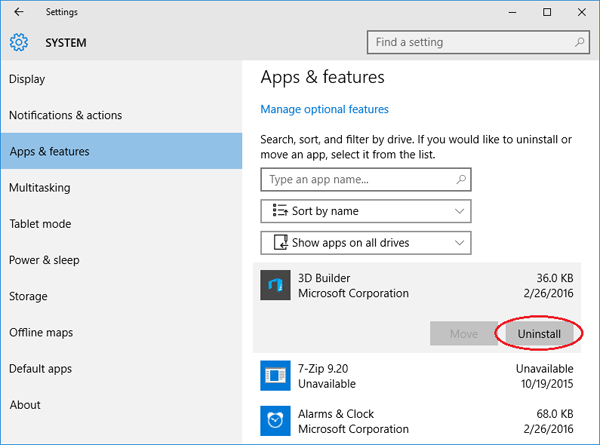 Thankfully, there are ways to completely remove / uninstall pre-installed Windows 10 modern apps. Press the Windows + I keys to open the Settings charm. 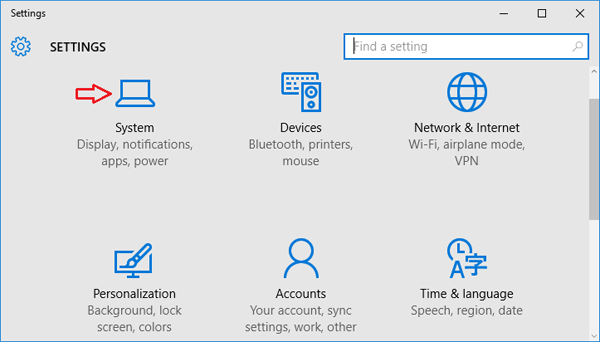 Select Apps & features from the left pane. A list of all installed apps appears in the right pane. Select the app you want to remove, and click on Uninstall. If the Uninstall button is grayed out, this is a system app you cannot remove. While a few of the built-in apps can be simply uninstalled from Settings charm, most of them don’t offer the Uninstall option. For uninstalling these apps, you might have to use Windows PowerShell described in method two. Using PowerShell cmdlet you can remove / uninstall most of the built-in apps, excluding Cortana, Contact support, Windows Feedback and Microsoft Edge. If you try to remove Microsoft Edge browse, you’ll see an error message saying they can’t be removed. Press the Windows logo key + X to open the WinX menu. 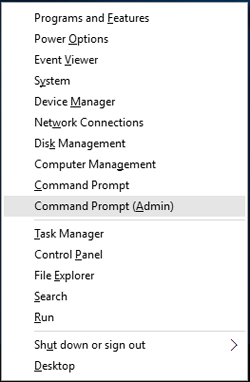 Click on “Command Prompt (Admin)“. At the Command Prompt, type powershell and hit Enter. Copy and paste the following command into the PowerShell prompt. Press Enter. Once you run the above command, PowerShell will display all modern apps installed on your computer. Scroll down to find the app you want uninstalled. You can easily identify it by looking at the Names of the apps from the list. 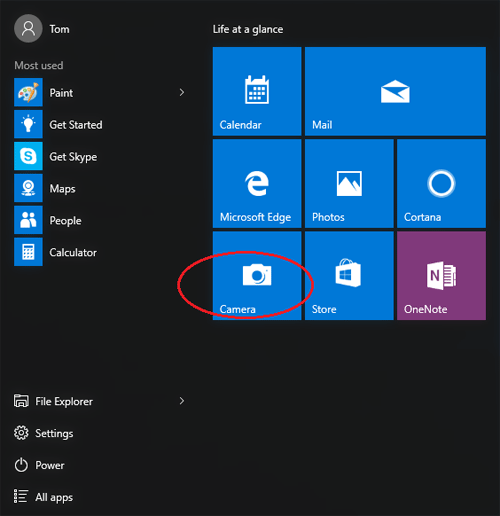 For instance, the Camera app bears the name of Microsoft.WindowsCamera. Tips: You can copy the package name by click the beginning of the name and drag your mouse to the end to highlight it then right click. Next right click to paste the package name you copied into the Command Prompt.